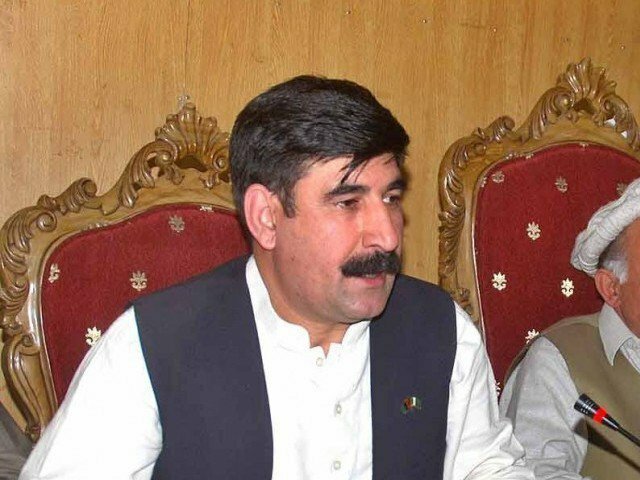 BAJAUR AGENCY: Former Member National Assembly (MNA) and Khyber Pakhtunkhwa (KP) Pakistan People’s Party (PPP) Vice President Akhunzada Chattan on Sunday remained unhurt in a missile attack at his residence in Bajaur Agency. Federally Administered Tribal Areas (FATA) officials confirmed that the former member parliament was present in the house when it came under attack, however, no casualties were reported. Shortly after the incident, the area was cordoned off by security forces and levies, and a search operation was launched. PPP Chairman Bilawal Bhutto Zardari has strongly condemned missile attack on the residence of the party leader. In a statement, the PPP chairman said that lashes, bullets, and bombs have failed to frighten Jiyalas in the past, adding that missiles too can’t scare them. Bilawal Bhutto Zardari said that Akhunzada Chattan is a brave Jiyala and he would continue the struggle for the people of FATA and their rights vigorously. Sindh Information Minister, Syed Nasir Hussain Shah strongly condemned the attack on the residence of PPP leader Akhunzada Chattan. In a statement issued here on Sunday, he demanded that the culprits of the attack be arrested. He said that the PPP stands by Akhunzada.